The Mongolian Festival of the Lunar New Year, Tsagaan Sar, is celebrated in or around February depending on the Mongolian lunar calendar. In Mongolia, the Lunar New Year is all about respecting one’s elders. According to custom, the younger members of the family must visit the eldest person of the family, usually the grandfather, at the beginning of the Lunar New Year. When hosting a Lunar New Year gathering, one needs to serve traditional food. 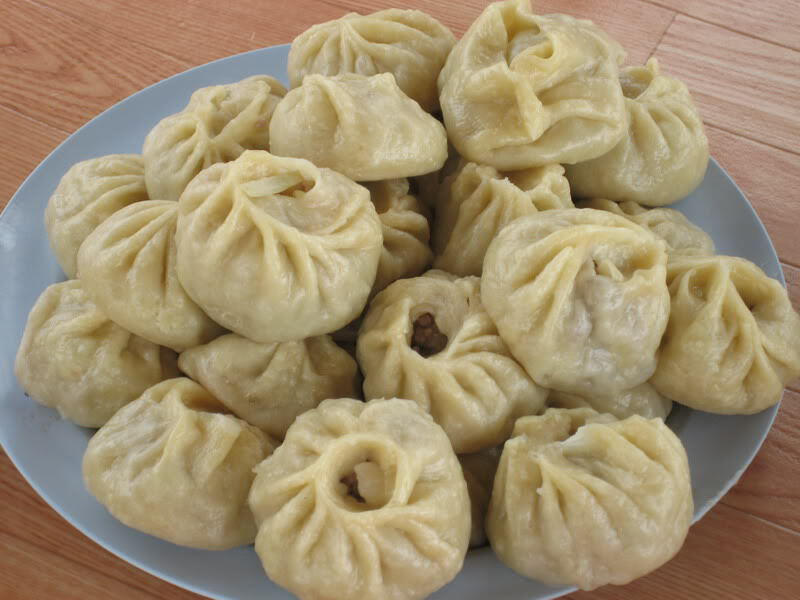 It’s expected that steamed meat dumplings will be served along with milk tea, salad, bread and candy. Each guest must also be offered three shots of vodka. 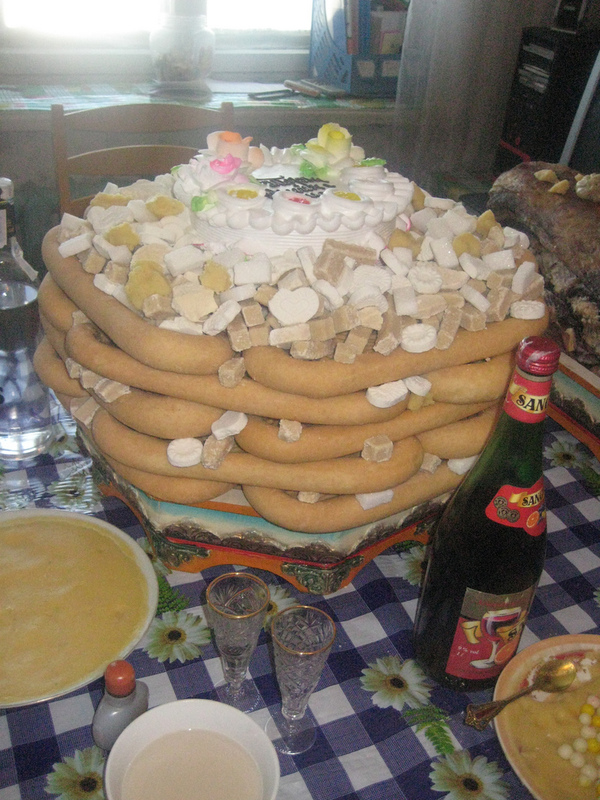 Ceremonial bread is piled up in five layers to make the traditional Ul Boov. To read more about Tsangaan Sar, go to Kiva Fellow Amber Barger’s Blog Post. In Cuzco, Perú, there are numerous holidays during the winter months of June and July. One of these is Inti Raymi (the Sun Festival), an Incan tradition marking the beginning of a new year with the winter solstice. This festival honors of the god Inti, one of the most venerated gods in Inca religion. Hundreds of thousands of people converge on Cuzco from other parts of the nation, South America and the world for a nine day celebration. Every day has different events including colorful processions, theatrical presentations, street fairs, and people dancing in the streets. In the evenings, live music from the best of Peruvian musical groups draws the crowds to the Plaza de Armas for free concerts. To learn more about Inti Raymi, go to Kiva Fellow Lee Bruner’s Blog Post. Every year, during the third week of October, the city of Bacolod, in the Philippines, celebrates the MassKara Festival and decorates its streets with smiling faces. These faces symbolize the resilience and strength of the community. The festival features a street dance competition where people from all walks of life troop to the streets to see colorfully-masked dancers moving to the rhythm of Latin musical beats. The major activities of the festival are diverse and include the MassKara Queen beauty pageant, drum and bugle corps competitions, food fairs, sports events, musical concerts, agriculture-trade fairs and garden shows. To learn more about MassKara, read Kiva Fellow Ed Coambs’ blog post. Thanks to the Kiva Fellows for opening a window for us into these exciting worlds!